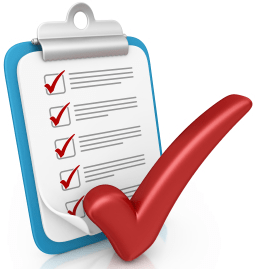 Now to recommend a non-SBA generated form to utilize as an addendum: a PROCESSING checklist, combining necessary and critical requirements and what if’s….all to help maintain the integrity of the SBA guaranty. But what is the most effective managerial use of this tool? Join Lisa Lerner, one of our professional expert SBA webinar instructors, as she walks you through a presentation that will give you a best practice blueprint guide to ensure you are processing your SBA 7(a) loan application efficiently and effectively. • Options to gathering all the information. Learn what is out there to help you do your job. A review of policies and procedures, flowcharts, and other reference materials. • How to maintain current and relevant information. • Optimal methods for the SBA 7(a) loan process. • Who collects what? What information should your sales staff collect? What information should your loan underwriters collect? What information should your loan packagers collect? And what information should your loan closers collect? • A key takeaway: eligibility issues and tell the loan story clearly! Each set of eyes is new. • Templates, templates templates. Where to get them, or how to build your own. • What information do you need to collect? Where is the information you need to collect? What are the best database options to house your loan information, and track loan progress status. • Considerations for booking your loan. • Lien verification – Don’t let this area become a serious bump in the process.